Hi Jared, thank you for your time and welcome to Alternative Magazine Online! Can you tell our readers a little bit about yourself please? Hello Alternative Magazine Online readers – it is nice to meet you, I’m Jared! For the past ten years I’ve worked at Bay Area Sound, making, editing, adapting, and generally playing around with audio, primarily for video games. Most of my best known work has been music composition and voice acting, but I’ve also spent a lot of time doing sound design, voice direction, and audio implementation. You worked as a member of LucasArt’s musical department on a variety of games – can you recall any specific titles? Did you enjoy your time at LucasArts? Actually, I never did work directly as an in-house employee at LEC; that is probably the number one false rumour flying around about me (that and the one about me being the Batman – I just can’t seem to quash THAT one, no matter how hard I try). The first professional work I did after my undergraduate studies was for LEC (Indiana Jones and the Emperor’s Tomb), but I was working with Clint Bajakian at Bay Area Sound (the company he founded after he left LEC). In fact, I’ve been surrounded by ex-LEC employees on almost every project I’ve worked on in my professional career; so, I’m never too surprised (and always flattered) when I hear someone lumped me in with the likes of them. Over the years, I have done quite a bit of work as an out-of-house contractor for LucasArts (on everything from Mercenaries and Knights of the Old Republic to The Force Unleashed, Tales of Monkey Island, and Star Wars: The Old Republic). You now work out of Bay Area Sound, Inc. What can you tell us about the studio and its members? Bay Area Sound is a small, robust audio production studio located in Marin County, California – just north of San Francisco. I’m the main music face of the company, and my business partner Julian Kwasneski heads up the sound design side of things; we share the voice production, as much as possible. Over the years we’ve specialised in video game audio, but have also worked on a fair number of commercial advertisements, short films, and other linear media. Games are our bread-and-butter, though, and over the years we’ve worked with virtually every studio in the Bay Area, and quite a few from elsewhere in the US, Canada, and abroad. How did you first get involved with Telltale Games? We first met with the founders of Telltale about a year after they founded their company in 2004. They were looking for a one-stop-shop audio solution, since they didn’t have an in-house audio department at the time. Our first work for TTG was for their games based on Jeff Smith’s “Bone” comics, and since then we haven’t gone a week without working on some aspect of the audio for their projects (often handling everything: music, sound, voice, and aspects of the audio implementation). How many of their games have you composed soundtracks for so far? Well, let’s see, there’s Bone: Out From Boneville, Bone: The Great Cow Race, Sam & Max: Save the World (season one, 6 episodes), Sam & Max: Beyond Space and Time (season two, 5 episodes), Strong Bad’s Cool Game For Attractive People (5 episodes), Wallace and Gromit’s Grand Adventures (4 episodes), Nelson Tethers: Puzzle Agent, Sam & Max: The Devil’s Playhouse (season three, 5 episodes), Poker Night at the Inventory, Back to the Future: The Game (5 episodes), Puzzle Agent 2, and Jurassic Park: The Game (4 episodes). I’m also part of the way through their upcoming games based on The Walking Dead comics. The music for Tales of Monkey Island was written by the inimitable Michael Land, but we did the voice and sound design for that one as well. So, all told, it’s been about twelve games in all (approximately 39 individual episodes… or so?). What’s it like working with the guys at Telltale Games? Telltale has managed to assemble some of the most dedicated, hard working, passionate teams I have ever seen. There is a definite “we’re all in this together” camaraderie that permeates the production teams, since we’re all often working between very tight schedule deadlines. The folks at TTG with whom I work most directly are the writers/designers/directors, the choreographers, and the programmers. With practically no exceptions, they are some of the most creative, unselfish, resourceful people I’ve ever known. What material or guidance – if any – are you given to help you figure out the correct ‘sound’ for a particular game when working on the soundtrack? This varies quite a bit from project to project, as you might imagine (for something like Jurassic Park or Wallace and Gromit there is a very clear precedent, something like Puzzle Agent is a little bit more nebulous). In terms of actual direction, it really depends on the style of who is directing the project – some people have a lot more input than others when it comes to the sound they’re looking for. Occasionally I’m given very specific reference (i.e. “something like this, but less xyz”), and sometimes I’m left to my own devices and trusted not to muck it up. Generally, I start with the designers – working to get a really concrete feel for the story they’re telling: the emotional shape of it, the characters, the genre, etc. From there, I try to get hold of any/all visual artistic reference I can find (sometimes that means concept art, sometimes it just means going back to the original source material, like The Walking Dead comics). Sometimes, though, it all has to be in my own imagination. Any given game’s production usually progresses alongside the music and audio production, so as the game comes together I’m often able to refine the music. Also, it doesn’t hurt that I’m often involved in other aspects of the audio, so I’m often able to hear final dialog before almost anyone else on the project. Your most recent work for Telltale was creating the soundtracks for both Back To The Future: The Game and Jurassic Park: The Game. How did you approach creating these soundtracks? Was it intimidating when the films already had such iconic music associated with them? It was certainly a great honour to be picking up the torch for two of the most beloved entertainment franchises from my own youth. I started by studying the movie soundtracks extensively, and building a sort of basic set of guidelines for myself before I wrote a single note for either of the games. Once I’d really familiarised myself with the low-level ins-and-outs of how those scores are put together, I was slightly less intimidated by the task, and more excited and stimulated by the challenges. In some ways that kind of writing can be the most fun, because one is forced to work within very tight boundaries of what is appropriate for the already-established-and-revered universes. All of the original musical material I wrote could be examined through the lens of how the original film music was put together, so it was quite easy for me to see what changes needed to be made to any work in progress. I really like having a clear reference point to which I may compare my work. Beyond that, both of those films have musical themes which I have always enjoyed, and it was just wonderful to have an opportunity to spend a lot of time with those themes, adapting them and re-imagining them. In a way it was comforting to know that at the heart of most of my work on those two projects were themes that were objectively good. It’s a bit like being a chef who is working with premium, fresh ingredients: the biggest, most important part of the job is to just not mess them up. What other game soundtracks outside of Telltale Games have you worked on? Most recently I’ve worked closely with Peter McConnell, writing additional music on a few titles on which he has been the main composer, including Kinectimals and Kinectimals: Now With Bears. I was also fortunate enough to be a part of the music team for Star Wars: The Old Republic, for which I contributed a handful of cantina-style tracks, also alongside Peter McConnell. There are also a handful of unreleased/unannounced things that I can’t officially comment on, but which will be exciting, I promise. Going back a ways I did some music for Drawn To Life 2: The Next Chapter, Alien Syndrome, America’s Army: Rise of a Soldier, The Bard’s Tale, Tiger Woods PGA Tour, and a handful of smaller Facebook games and other mini/micro-titles. What’s your favourite video game soundtrack that you have composed so far and why? This is always the single hardest question for me to answer. The truth is that I’ve really enjoyed writing all of them, and I greatly appreciate the variety of musical styles I’ve been able to use in my career thus far. If I really had to pick an all-time favourite, I think I’d have to go with the Sam & Max series, but that’s only because there have been so many of those games (10+ hours worth of music). You also do plenty of voice acting! Was it fun to play Marquis DeSinge in Tales of Monkey Island? Voicing the Marquis is one of the all-time most fun things I’ve ever done. Seriously, I love that guy. How did you get the part of DeSinge? Did you add anything to the character that wasn’t already scripted? I got the part through a good old fashioned audition. Since I was slated to be voice directing several actors for the game, I spent time reading through the casting documents for the season and was instantly drawn to the character. I tossed my hat into the ring of auditions. Since I worked with all of the designers on a daily basis, I didn’t want to sway their casting decisions, to take advantage of my position, or to put any awkward pressure on them, so I submitted the auditions under a pseudonym along with the rest of the auditions from the agencies we work with. When they decided to cast me, there was an awkward moment where I had to reveal that the voice was, in fact, me. I think it was a bit surprising to everyone involved, especially since the voice is so insane. The writing was already spot-on, so I didn’t really feel the need to do any off-script improvisation; although, I did tend to insert a lot of those little squeaky vocalisations, and the maniacal laughs. Come to think of it, I did also add a lot of, “Alors,” throughout all of his lines. Most recently, you voiced Miles Chadwick in Jurassic Park: The Game. How would you describe this character and how did you approach playing him? Miles embodies that all-too-familiar modern heartlessness: completely disconnected from other human beings, disconnected from nature, disconnected from everything but himself and his own personal comforts (comforts that often come at someone else’s expense). He is the guy you don’t want on your camping trip, the nightmare boss, the obnoxiously loud guy sitting next to you at the movie theatre. On the surface, he is extremely annoying; but his problems go much deeper than that, because he has (or is used to having) power over other people. It makes him into an especially infuriating antagonist. There are a depressing number of people like Miles out there in the real world, so it wasn’t too hard for me to channel my inner über-jerk when I was behind the mic. Jokes aside, he was a ton of fun to voice; there is something primally satisfying about giving life to a character who is so utterly narcissistic and self-absorbed, and then seeing him get his comeuppance – something that almost never actually happens in the real world. It satisfies our own human desire for the world to be a fair place, even if it isn’t one. Did you record your lines alongside Nika Futterman (Nima Cruz) or did you both record separately? The chemistry between Miles and Nima is great, especially when he starts freaking out! Actually, almost all of our voice recording is done with one actor in the studio at a time. This was the case for the Miles/Nima scenes, and rest of the voice for JP. There are a number of logistical and technical reasons for why that is our production process. In many ways it simplifies things, especially for games which often have many different possible conversation permutations. Recording everyone separately just requires that we remind the actors of the contexts of the situations, and that we are able to read them the preceding lines in for any given dialog; as long as we keep on top of that, the results tend to be pretty good. Since I was directing several of Nika’s sessions, I was able to meet her, and get a solid sense of how we were each approaching our respective characters. That is one of the many benefits of being both voice director and actor; I also usually know the scripts and story designs inside out, so I’m able to skip over a lot of the context-giving discussions we typically have with our actors. Both DeSinge and Miles have a dark side. Is it fun playing these types of characters? I have always enjoyed playing evil and crazy, villainous characters (more so than meek or mild protagonists); that is why I was drawn to both DeSinge and Miles. With DeSinge, he is so over-the-top in his cartoonish insanity, it was a true delight to just go nuts behind the mic – almost nothing was too big for that character. With Miles, I decided to submit an audition to the team because of the more modern/realistic evil he represents. What other video games have you voice acted in? Over the years I have done voices for a ton of incidental characters for quite a few games (more than I can count or even remember, to be honest!). The only other major characters I’ve done have been the C.O.P.S. in the Sam & Max games (for those of you who don’t know, they are a series of 4 obsolete computers who have a support group and are generally amusing), and the Thief in the final episode of Tales of Monkey Island. Are you a gamer yourself and if so, what type of games do you like to play? To be perfectly honest, I am actually not that huge of a Gamer with a capital G. The games that I do play most often tend to be my favourite NES and SNES classics like the original Mario games, and the Zelda games. More recent games that I actually play with any regularity are things like Super Mario Galaxy, Pikmin 2, Smash Bros, Katamari, Kingdom Hearts, Silent Hill, GTA. I also love the old graphic adventures like the original Monkey Island series, Full Throttle, Grim Fandango, Day of the Tentacle, etc. I am also moderately addicted to an old Mac shareware game called Realmz, which, if you like tactical RPGs, and the 90s, is just delightful (assuming you can find a copy and a machine to play it on). To be honest, I’m probably more of a film/theatre/concert dork than I am a game dork. What sort of music do you like to listen to? Who would you say are your major influences as a composer? Among my favourite classical composers: Lutoslawski, Shostakovitch, Stravinsky, Berg, Sibelius, Dvorák, Brahms, Mahler, Schubert, Mozart, Haydn, Bach, Purcell, Rameau. My favourite opera and musical theatre writers (with some overlap with those listed above) are: Sondheim, Kander, Bernstein, John Adams, Gershwin, Weill, Menotti, Offenbach, Wagner, Rossini, Donizetti. My favourite film composers: John Williams, Danny Elfman, Alan Menken, Angelo Badalamenti, Elmer Bernstein, Bernard Herrmann, Henry Mancini. Favourite rock bands: Nirvana, They Might Be Giants, Oingo Boingo, The Beatles, David Bowie, Pink Floyd, The Cure, Grateful Dead, The Pixies, The Pogues, Queen, Talking Heads, Pearl Jam. Favourite jazz: Charles Mingus, John Coltrane, Miles Davis, Art Blakey, Stephane Wrembel, Herbie Hancock, Grappelli/Reinhardt. Other stuff that is great: Frank Zappa, Ozomatli, Jurassic 5, Parliment, Steve Reich, Tom Waits, Squirrel Nut Zippers, Bob Marley, Andrew Bird, Raymond Scott, Boards of Canada, Astor Piazzolla, Holy Modal Rounders, Héctor Lavoe, The Bothy Band, David Lindley, Typsy Gypsy, Trampled by Turtles, Jim Kweskin. As for my own compositional influences – those shift around quite a bit, depending on which project I’m scoring. For example: for Jurassic Park, John Williams was obviously the number one influence (along with the classical composers from whom I suspect he was drawing inspiration for the JP film scores). For the musically eclectic Sam & Max games, the influences are a little bit more disparate, but guys like Charles Mingus and Henry Mancini top the list. The upcoming music for The Walking Dead is drawing a lot of influence from contemporary concert music guys like John Adams/Steve Reich/Arvo Pärt, from 20th century masters like Ligeti/Bartok, and more popular sources like Angelo Badalamenti/Tom Waits/Chris Isaak. What’s next for you Jared? Right now I’m in the thick of work on Telltale’s new game based on The Walking Dead comics; I’ll also be doing the music for their game based on the Fables comics. There are also a few unannounced-but-exciting things that are coming in 2012, but I unfortunately cannot talk about any of them quite yet. Thank you for yours! I hope it was a reasonably interesting read. If any follow up questions arise, don’t hesitate to ask. 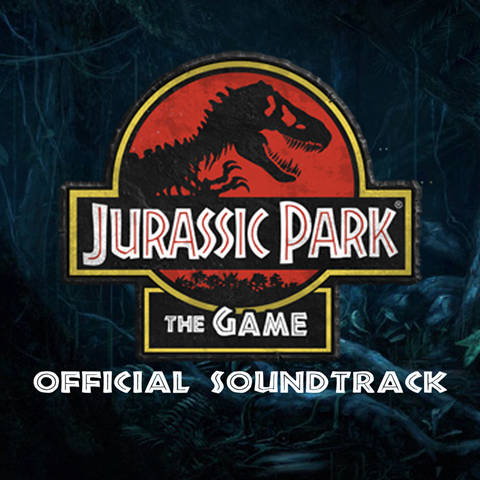 Special thanks to Spinky from the Telltale forums for letting AMO use their fantastic Jurassic Park: The Game soundtrack cover artwork! You can see more of their work here. Pingback: Bay Area Sound, Inc.
>”…sometimes I’m left to my own devices and trusted not to muck it up”. And thanks for all these GREAT interviews Martin, as I said… I’m learning so much about people I’ve already known for years!